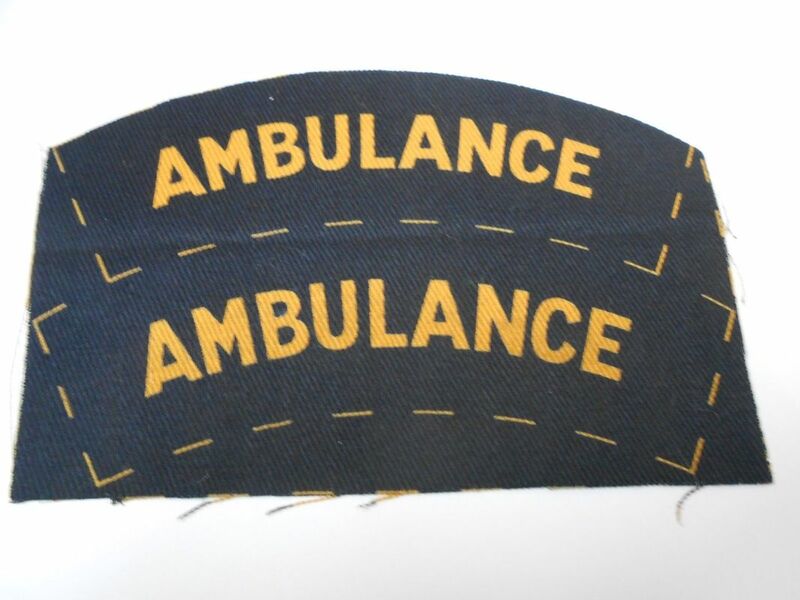 A selection of the shoulder titles that were worn across the Civil Defence services in the second world war. Titles became officially available on 2 December 1941 and were initially embroidered but calico-printed versions became available from the middle of 1943 (for cost saving reasons). 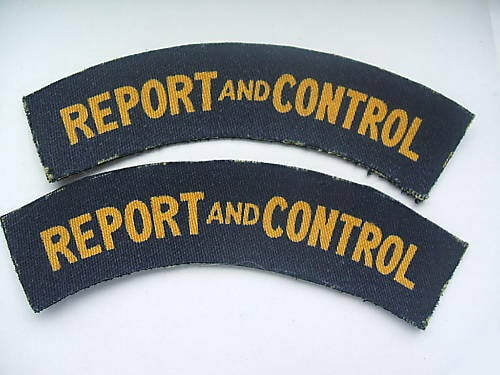 The titles below are those that were officially sanctioned. 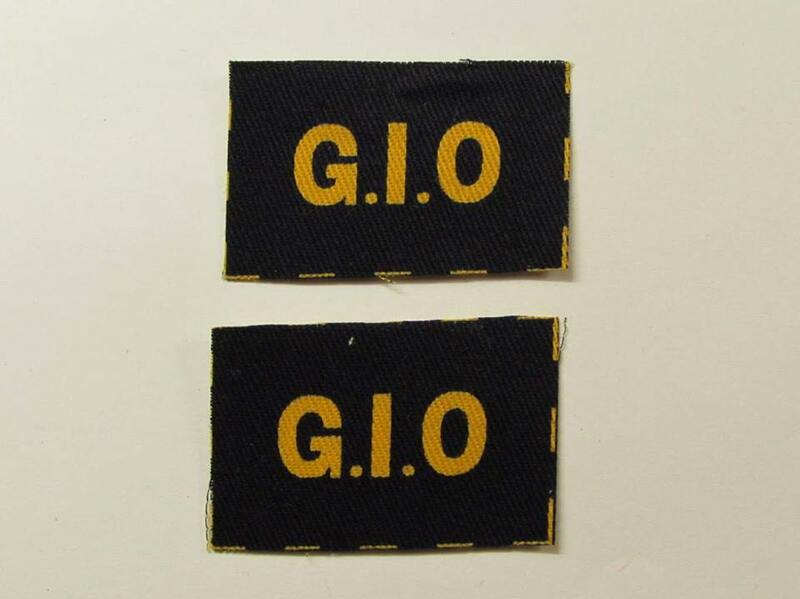 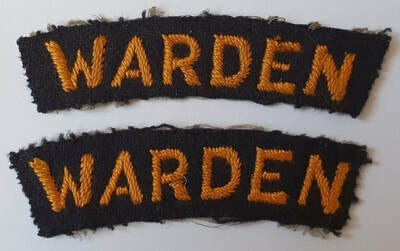 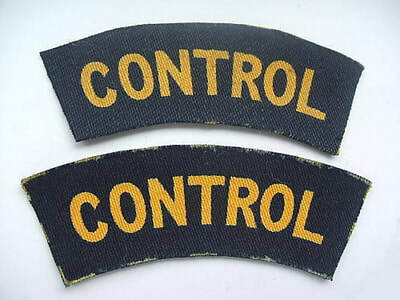 However, some local authorities allowed some senior ranks to have shoulder titles that displayed their actual rank; examples of 'CHIEF WARDEN' and 'SENIOR WARDEN' are known to exist. 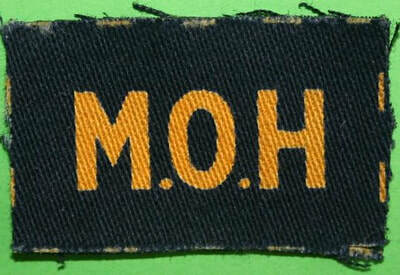 Officially introduced for wear on BD in September 1941 it took time for the titles to reach every location. Variations - such as HEAD WARDEN, SENIOR WARDEN and CHIEF WARDEN - exist but these were ordered by local authorities and were not officially sanctioned. The Civil Defence Control Centre was the focal point of Civil Defence operations. 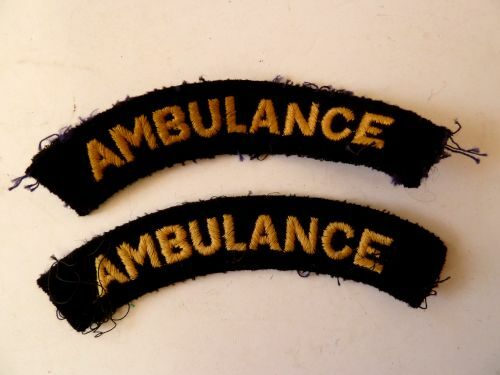 The information sent by ARP wardens would be reviewed and the necessary emergency services sent to deal with the incident. 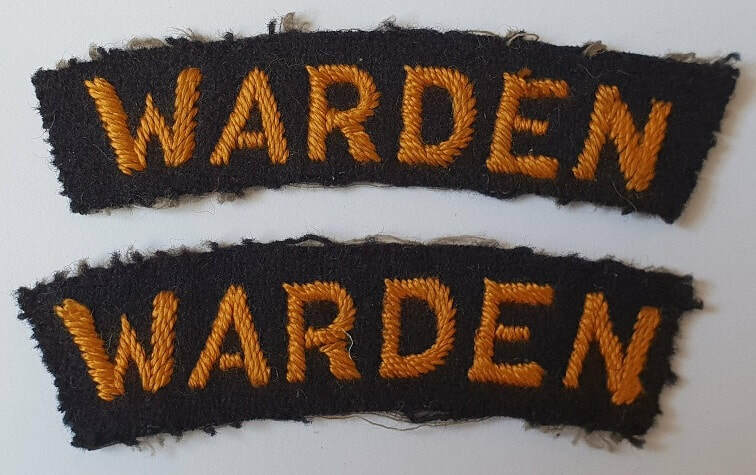 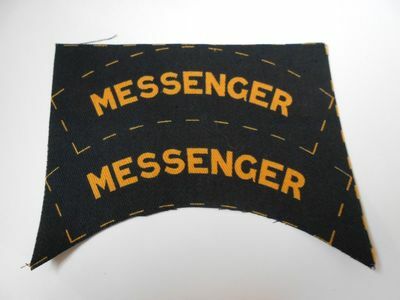 Wardens telephoned in incidents but also filed forms which in the event that the telephone network was down were delivered by Messengers (often teenagers from the scouts or similar groups). 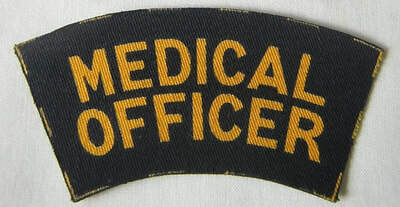 Medical Officers were stationed at control centres and were responsible for organising the First Aid parties. 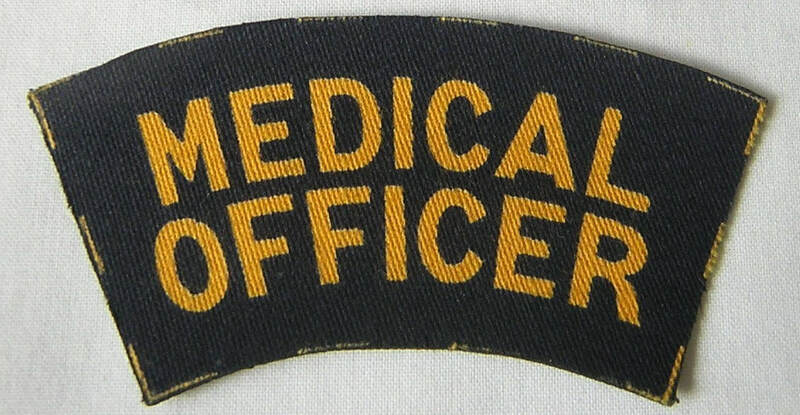 WW2 Civil Defence Medical Officer (ARP Pattern 131) shoulder title. 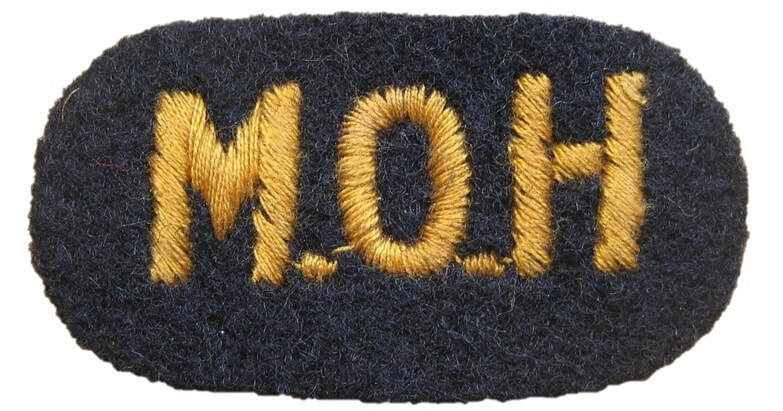 WW2 Civil Defence MoH (ARP Pattern 129) - Ministry of Health shoulder title. 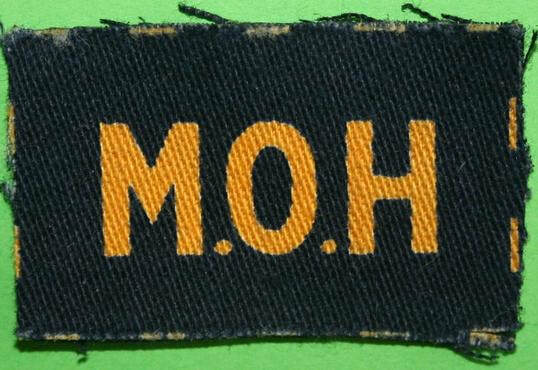 WW2 Civil Defence Embroidered MoH (ARP Pattern 129) - Ministry of Health shoulder title. 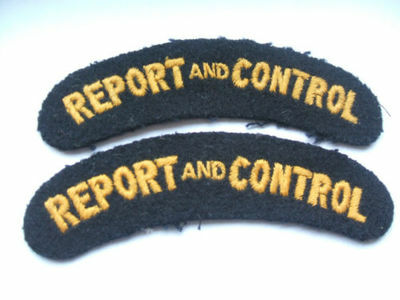 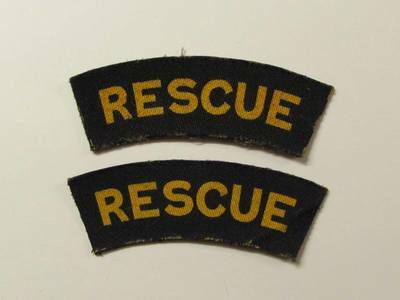 Originally, just a 'RESCUE' shoulder title was implemented in 1941. 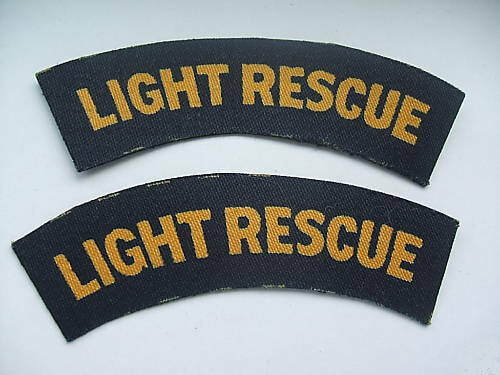 By early 1944 there was a need to differentiate between the "LIGHT RESCUE' and 'HEAVY RESCUE' squads. 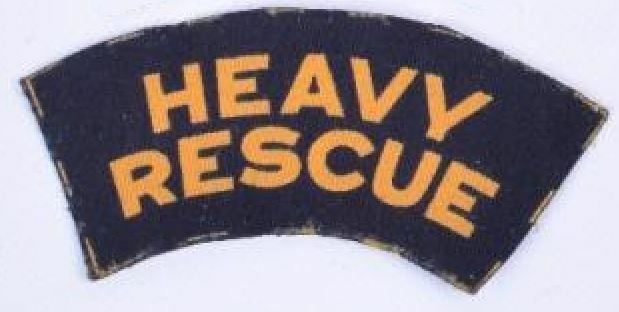 WW2 Civil Defence Heavy Rescue shoulder title (printed). 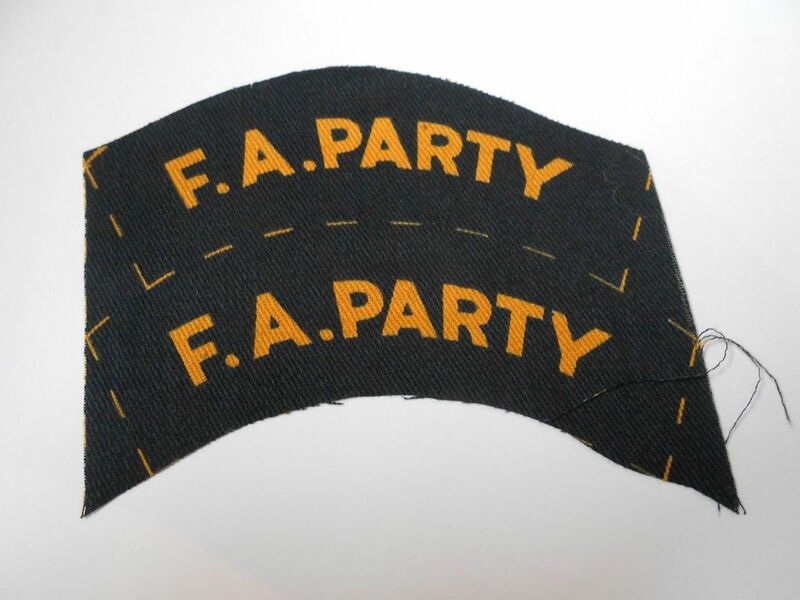 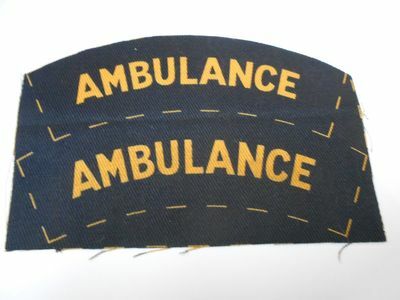 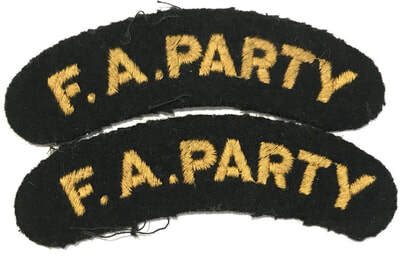 Worn by ambulance drivers and attendants. 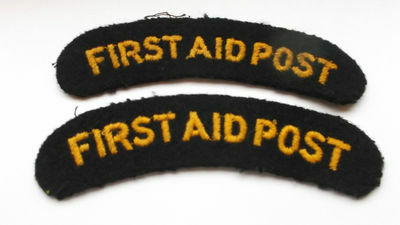 WW2 Civil Defence 1st Aid Post shoulder title (embroidered). 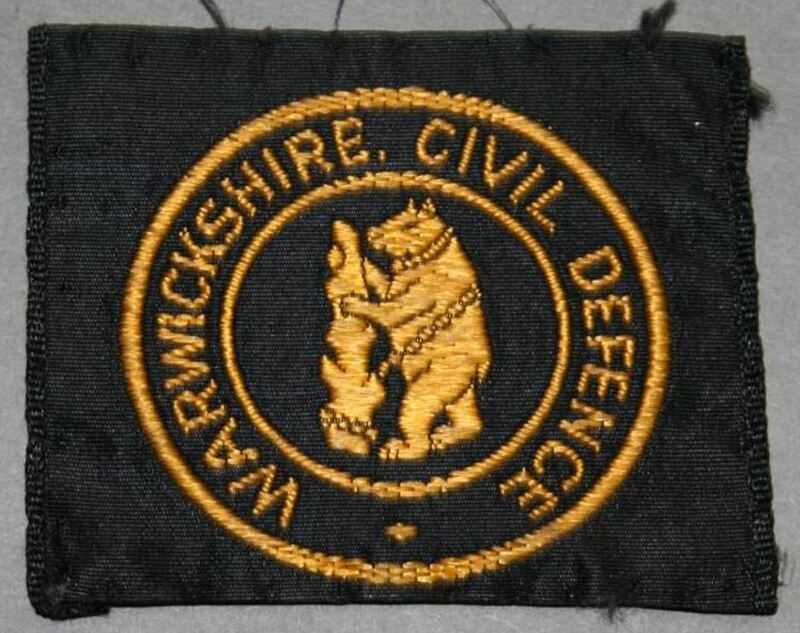 WW2 Civil Defence Depot Shoulder Title (Printed). 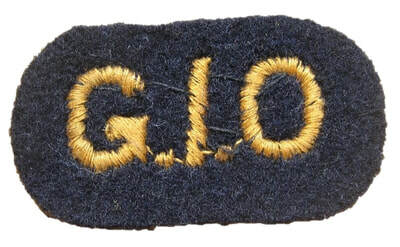 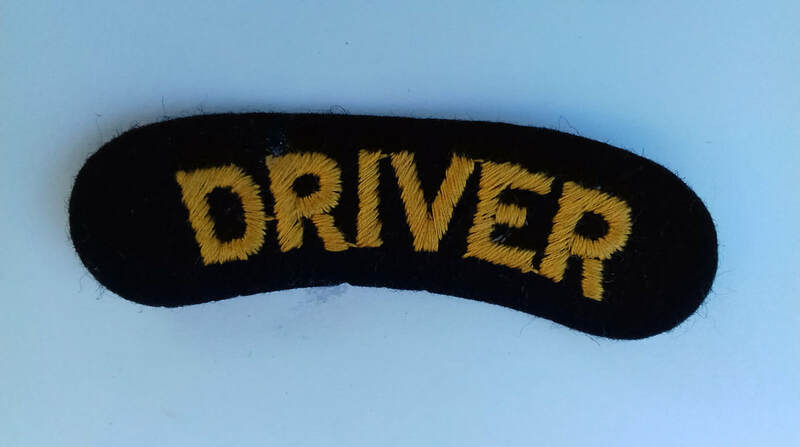 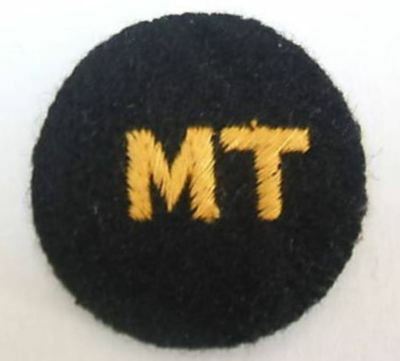 WW2 Civil Defence Driver Shoulder Title (Embroidered). 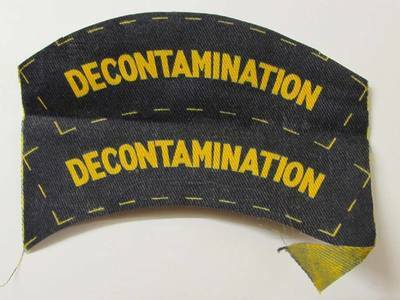 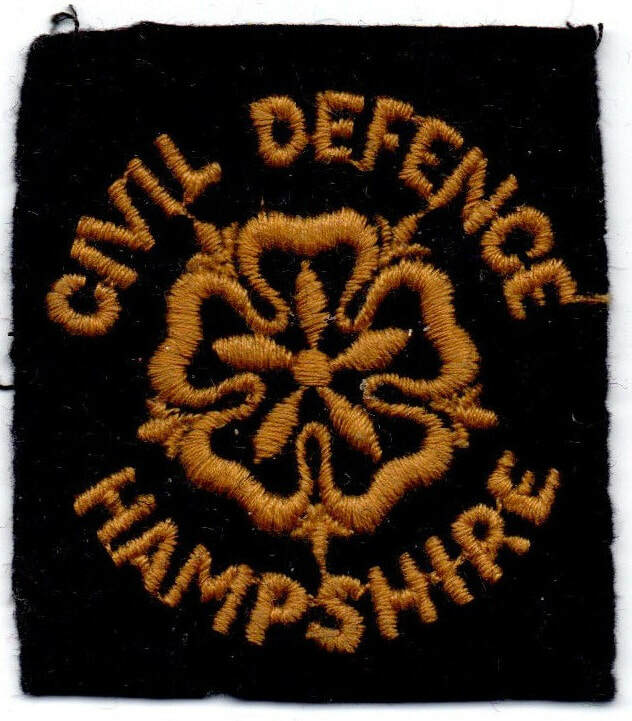 WW2 Civil Defence Decontamination shoulder title (woven). 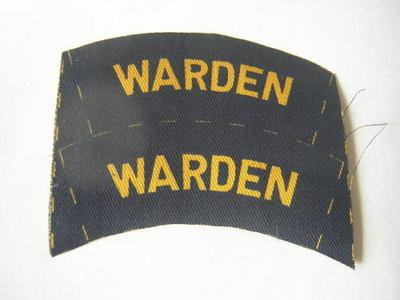 There was a great deal of latitude regarding shoulder titles and variations exist. 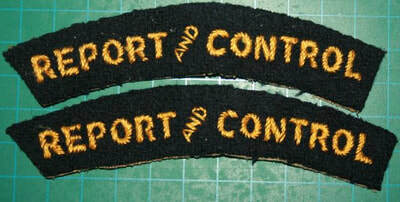 Many produced by small commercial concerns. 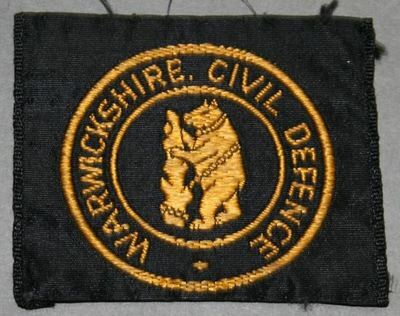 WW2 Warwickshire Civil Defence badge. Badge sewn to epaulettes of Civil Defence services in Hampshire. 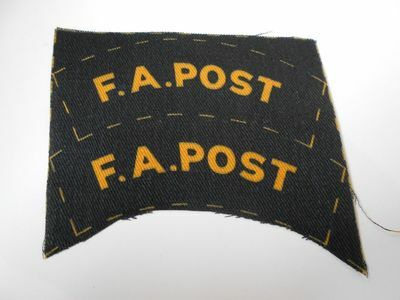 To submit original shoulder titles please send me an email via the contact page.